The more I travel, the more I see the “one”. There can be a crowd full of hundreds of people, yet Jesus often highlights the “one”. 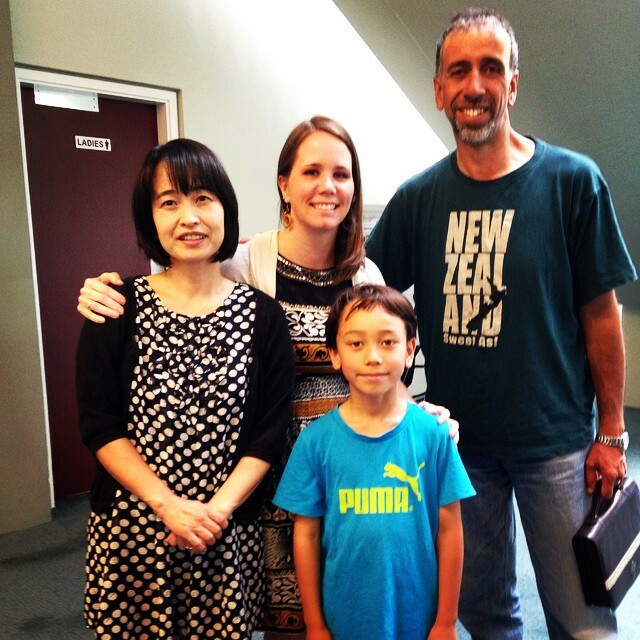 This is what happened over and over again in New Zealand and that’s what ministry for me is about. It’s about connecting with the heart of the “one” to see the reality of the love, hope, and power of Jesus rooted in their hearts and transform their lives. Jesus touched the masses, but many of the stories are about the “one” amongst the masses that moved Him with compassion. One such man I met at this non-Christian community festival. 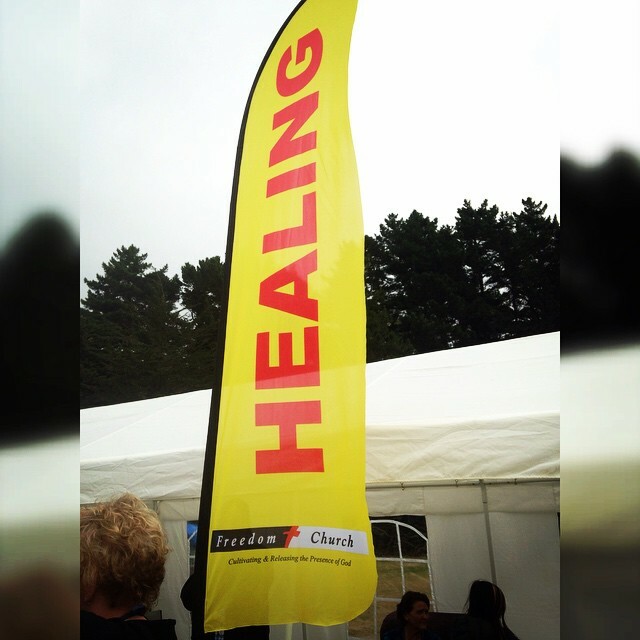 We were helping the church with a healing tent where people could come to receive prayer. We saw God do some incredible things including a young lady who walked up with crutches and left with her boyfriend carrying them instead! As we walked around, we saw two men who were disabled. One was on the ground and the other was in a wheelchair. Affected by strokes, diabetes, blindness, and amputations, they weren’t a pair that many were acknowledging. So we stopped and knelt on the ground and heard their stories. At the end, they allowed us to minister to them, although in truth, ministry began when we chose to stop and say hello. One of the guys was more hesitant so we didn’t pray but just told him what we heard God saying about him. One of the words was that he is very intelligent and “street smart”. Like, he knows where to go and where not to go and how to get there. His face lit up and he said “I used to be a taxi driver for years!” He didn’t know what to think of this so we explained how it was just a way that Jesus wanted to show His love towards him and how He knows him so intimately. All of our hearts were moved! Then there were the “ones” that came up for prayer. We had called out a word of knowledge about people needing healing from injuries from abuse. We wanted to be sensitive about it, so told them to come up afterwards with the rest of the people receiving ministry. There were around 15-20 women who came up just for that specific request who had lingering pain from broken collar bones and legs to migraines and fused necks. They were the ones that Jesus would’ve left the ninety-nine for. I’ve never seen so many instant physical miracles in a row before. Even the ones that could only point to their wounded hearts, Holy Spirit also revealed what they needed healed physically. As He touched them physically, their hearts were mending in the process. So much freedom! So much love! So much healing! I am in awe of what God did that night! Then there was a young girl about 12 years old who came to one of our services. We had a service tailored just to ministering to and loving children with special needs. 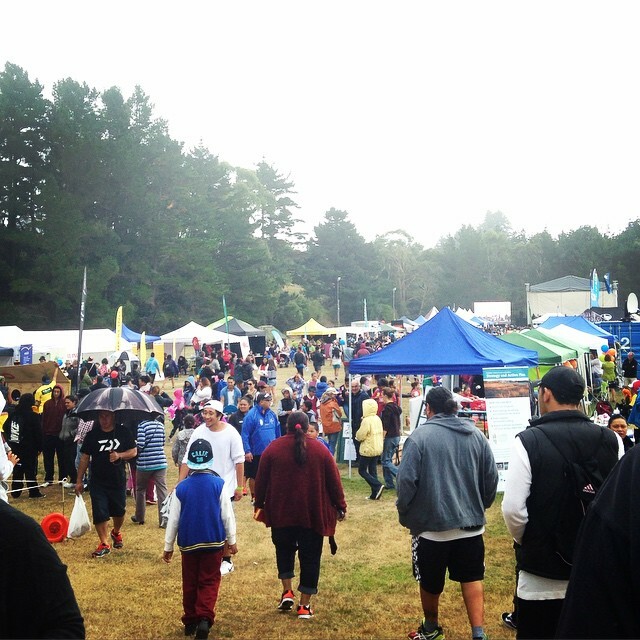 Not prompted by us, the Downs Syndrome Association of New Zealand posted it on social media and we ended up having around 75-100 children come with their parents! This 12 year old girl has asperger’s syndrome and becomes really overwhelmed around loud noises, especially noises of babies and toddlers. When I saw her, she was crying on her mom’s lap having a melt down. They went to leave even before the ministry started so we went with them to a quiet room. As we talked, she began to open up even to the extent where we were singing together songs from the movie Frozen! She wanted prayer for her anxiety as well as for her dreams. She said that Jesus already healed her being afraid when she has nightmares, but now just needs the nightmares to go away. After loving her and praying, she agreed to walk back into the sanctuary to see how she was feeling now. She was able to walk around without having an emotional meltdown and even when she started to feel anxious could access peace! My mentor Chris Gore also spotted the “one” when we were in Auckland. One lady had lived a hard life and had only been a Christian for around 4 weeks. She had never received kisses or hugs from a father and right there in the middle of ministry time, Chris stops and is moved with compassion towards her. He jumps off the stage and gives her a kiss on the forehead and then invites any fathers in the house to come love on her and hug her. She was overwhelmed in such a good way by love that day! Later, she shared with Chris that for 30 years she would come to church, but as a witch to wreak havoc and create confusion. Now, she is a child of God and her mind was renewed to her true identity as a daughter of a loving Father! There are so many people who I connected with on this trip, but the “one” who stands out the most was a man I will call Tom. We went to a hospice to spend time with Tom and minister to him. He looked around 60y and the doctors say that he is dying from cancer. As we gathered in that room and shared together, the presence of God filled that place. At one point, he wanted to try to stand up, which he needed a two person assist to do. Only one of our guys was lightly helping him up and then he stood independently for at least 10 minutes. He said that he felt strength returning to him! All the years of me working at a children’s hospital, there was something very sacred about being with people who were diagnosed as terminal and seeing so much life and hope enter into their situation and lives. Tom’s eyes radiated with the light of Jesus and he is a man who really knows and loves Him. Many others were ministered to in that room and Tom even layed hands on them and prayed. It was truly, truly an honor. If I went all the way to New Zealand just for that moment, that memory, it would’ve been worth it. So many life changing and life enhancing moments for me. I could write books on all of the miracles that we saw, all of the incredible people that touched my heart, all of the things Holy Spirit was teaching me! I am grateful! 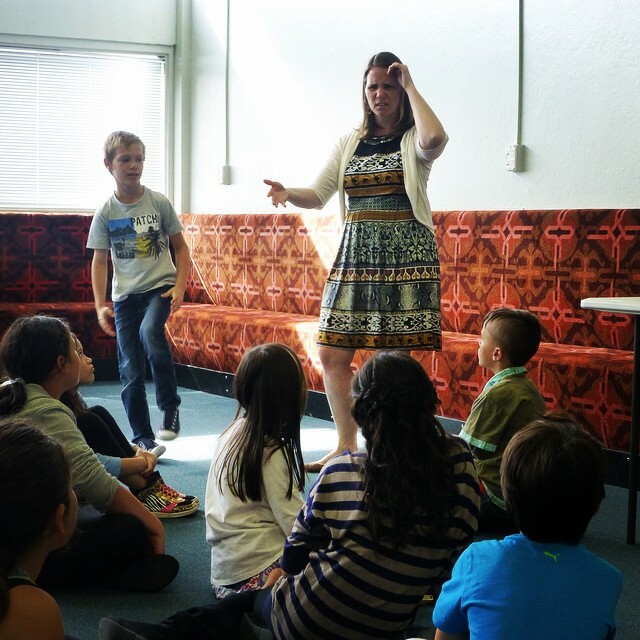 Sharing a testimony of healing as I taught the children. The boy is role playing someone on crutches and I am obviously demonstrating her facial expression when she was blown away about how she was healed! 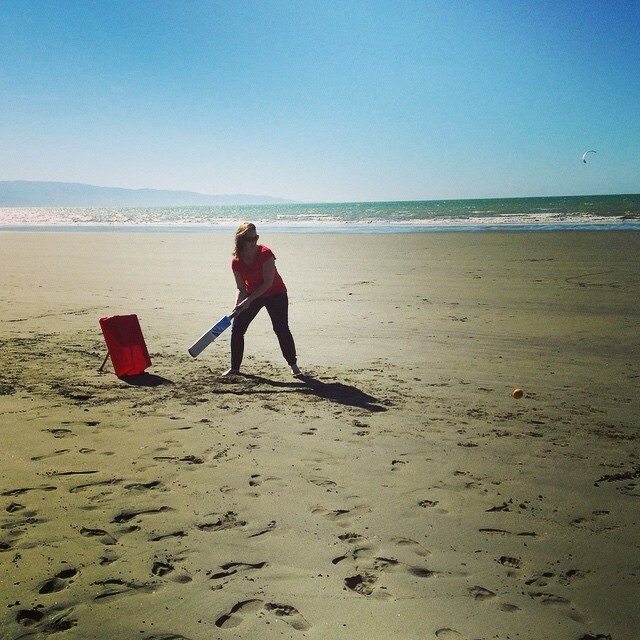 When in NZ, you must learn cricket! I love hearing how God is working in and through you on these ministry trips! It’s wonderful! It seems to me that He’s expanding your heart to believe for greater things in the future. WOW, WOW, WOW! I absolutely LOVE reading your blog! I always walk away being encouraged and grateful for what God is doing through you on this planet! The ONE touching the ONE. 🙂 Love this!! !